At Spain Building & Maintenance we always try to exceed the expectations of our customers and clients. 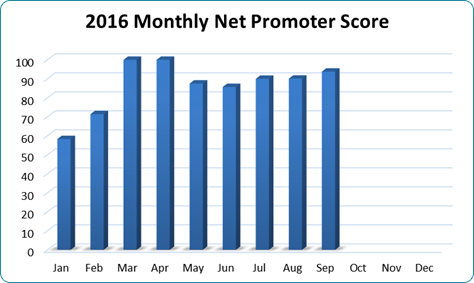 To gauge our performance, we use the Net Promoter Score (NPS) index. NPS is an accepted measure of customer service and is used in various sectors worldwide. In theory, if every customer were a Detractor, a company could have an NPS as low as -100, and if all the respondents were Promoters, it could have an NPS as high as +100. 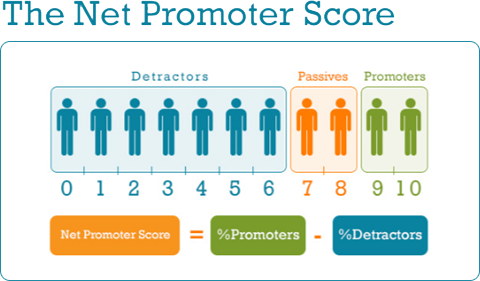 So What is our Net Promoter Score? For September our NPS score was 93.8% which is truly WORLD CLASS! In fact, we have always scored well above the “excellent” threshold and over the year are currently scoring 85.7%.